Kimberly Tripp is a SQL Server MVP and has worked with computers since 1985. Her career with database technologies began when she first worked (as an intern) at IBM in 1988 (starting the DataEase and then moving to FoxBase). In 1990, Kimberly was introduced to Microsoft SQL Server™ while working for a small consulting and training firm in Chicago called LAN/mind. Becoming an MCP and an MCT in 1991, Kimberly decided that training was her primary passion and pursued a career at Microsoft. Working for Microsoft University in 1992 and 1993, Kimberly delivered training all over the United States – with focus on SQL Server, LanManager, and Windows. But, when Microsoft University stopped delivering training directly to customers, Kimberly joined the SQL Server Development Team. Kimberly held positions at Microsoft including Subject Matter Expert/Trainer for Microsoft University and Technical Writer for the SQL Server Development Team. After working with a truly great team, Kimberly decided to leave Microsoft to pursue her passion for teaching and to allow her to work with customers and “in-the-trenches” problems. Since 1995, Kimberly has worked as a Speaker, Writer, Trainer and Consultant for her own company SYSolutions, Inc. (aka SQLskills.com). Forming SYSolutions and then SQLskills, Kimberly has enjoyed the ability to work on different types of projects – from speaking to writing to presenting. In terms of some of these projects, Kimberly is a writer/editor for SQL Server Magazine; was a founding writer for T-SQL Solutions magazine; was a technical contributor for the SQL Server 2000 Resource Kit; co-authored the MSPress title SQL Server 2000 High Availability; authored multiple whitepapers on SQL Server 2005; and has authored/co-authored numerous resources for SQL Server 2008 including the “New Features for Database Infrastructure and Scalability in SQL Server 2008 course” as well as the hands-on lab VPC that’s used for this course. In presenting, Kimberly has presented lectures and seminars at Microsoft Tech*Ed, SQLConnections, SQLPass, and other SQL Server-related events since 1996 and is consistently top-rated both on quality of technical content and presentation style. In consulting, Kimberly helps customers tackle their availability and performance issues as well as design and architect appropriate solutions. Finally, Kimberly frequently works with Microsoft to provide new and interesting technical resources, whitepapers, hands-on labs and training content for SQL Server. Currently, Kimberly is focused on SQL Server 2012 content for conferences and workshops around the world. Additionally, Kimberly worked as a co-author/editor on three titles. As a co-author, Kimberly put together the Index Internals chapter for SQL Server 2008 Internals. As a co-author and editor, Kimberly helped to put together SQL Server MVP Deep Dives (Volumes 1 and 2), each of which is a collection of best practices from MVPs around the world – in one title – which is all for charity. All proceeds from these titles go to help underprivileged children. 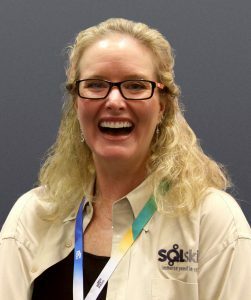 For technical information and resources, check out Kimberly’s popular blog at: https://www.sqlskills.com/blogs/Kimberly. To contact Kimberly, email Kimberly@SQLskills.com.